Colonists needed many baskets. There were no cans, plastic bags, or cardboard boxes. They used baskets to carry and to store many things. To begin her work, a basket maker cut down young trees with an ax. Ash, hickory, and willow trees worked well. They were strong and light. She cut the wood into long strips called splints. She soaked the splints in water to make them bendable. Using a mallet, she flattened them once they were soft. She separated layers of wood with a large knife. Then, she flattened them again. Next, she wove the basket’s bottom. She turned up spokes, strips of wood, to form the basket’s sides. Then, she wove strips over and under the spokes in rows. Finally, she made the rim and handle. 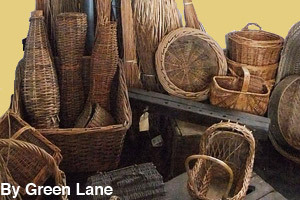 A basket maker made many different kinds of baskets. 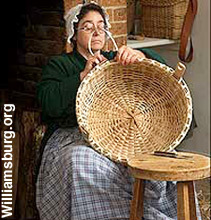 She changed the tightness of the weave, size, and shape depending on how the basket would be used. 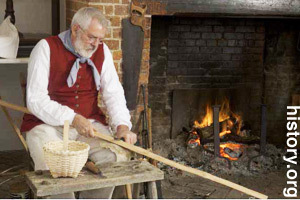 A basket maker had to have nimble fingers. 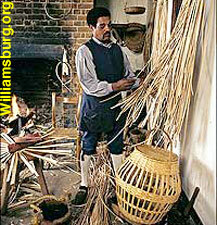 Many people made baskets in their own homes. 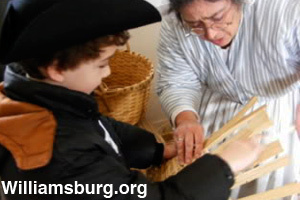 As soon as they were old enough to learn, parents taught children to weave them. 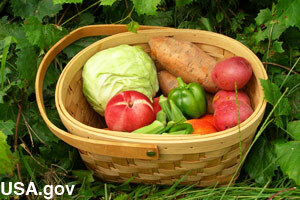 Basket Weaving 101. (2009). Retrieved from http://www.basketweaving101.net/Site%203/howto.html. Kalman, Bobbie. Colonial Crafts. New York: Crabtree Publishing Company, 1992. Kalman, Bobbie. Early Artisans. New York: Crabtree Publishing Company, 1983. MLA Style: "Colonial Basket Maker." Facts4Me. Apr. 2013. http://www.facts4me.com.